VP of Marketing, Auvik Networks Inc.
high-performing, data-driven SaaS marketing team. Auvik has taken the MSP market by storm, receiving recognition from multiple analysts and publications -- most recently being named by ChannelE2E as one of the top 100 disruptors and innovators in the IT channel. At Auvik, Jacqui is responsible for marketing operations, demand generation and online marketing, lead nurturing, sales / channel enablement, content marketing, business development, and public relations. From 2001 to 2011, Jacqui was part of the investment team at Tech Capital Partners, responsible for a portfolio of 15 technology companies in the internet, wireless and communications sectors. Prior Tech Capital, Jacqui was Manager of Marketing Operations for Cisco Systems' video networking business division. Jacqui joined Cisco through its acquisition of PixStream, a company focused on distributing and managing digital video across broadband networks. 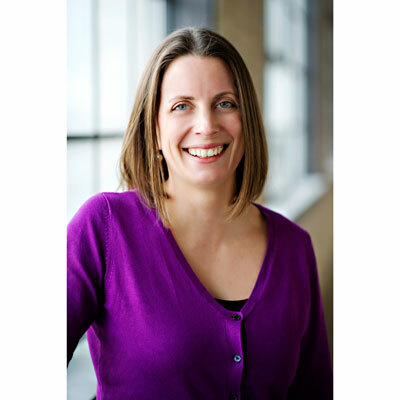 Jacqui currently sits on the board of directors for Social Venture Partners Waterloo Region. Previously, she was a board member of PostRank (acquired by Google), Communitech, LiveHive Systems, Overlay.TV and the Kitchener and Waterloo Community Foundation. Jacqui has published business cases and instructed business courses at the Richard Ivey School of Business and Wilfrid Laurier University. This past year has been incredibly exciting for Auvik. The company launched into the channel space in June 2015 and we spent most of this first year working with friendly channel partners to refine our product offering. This past year has been all about scaling the business and we are now working with hundreds of MSPs - helping them provide complete managed network services to their clients. I head up the marketing and business development teams at Auvik. These teams are 100% focused on providing value to our channel partners and prospects. Most of my work at the company involves building and supporting these teams, and making sure that our systems and processes are designed and built to scale (we're growing really quickly!). The Auvik marketing team also supports our sales, customer success and customer support teams so we have many balls in the air at all times. Managing multiple high priority initiatives is what keeps this role exciting for me. This year is all about scaling for us. We have some very aggressive growth targets to hit and my teams are at the front-end of the sales funnel. It's my responsibility to make sure the funnel is full of qualified MSPs who are interested in learning more about our network infrastructure RMM product. We're currently in an enviable position - no other channel product can do what Auvik does. Word-of-mouth is spreading but I want to look back on 2018 as the year all MSPs became aware of Auvik and the efficiencies and risk mitigation we bring to their businesses. I haven't won any personal honors this year but I'm also not one to put myself out there. I'm proud that Auvik was recognized by Channel E2E as a top 100 channel disruptor and innovator. While not an award, I was honored to be a judge in this year's Velocity $5K Fund competition and was a Communitech Strong Leaders coach. Recently, I received the Michael R. Follett Community Leader of the Year award by the Greater Kitchener Waterloo Chamber of Commerce, was recognized as one of Waterloo Region's Top 40 Under 40, and received the Communitech Tech Impact Award. Sheryl Sandberg, COO of Facebook and founder of Leanin.org, is the first woman who comes to mind. Her book Lean In: Women, Work, and the Will to Lead, and the resulting Lean In movement has had a significant impact on my life, and the lives of thousands (maybe hundreds of thousands) of other women. She is bringing attention to the issues and obstacles that women face on a daily basis and provides really insightful guidance on how to make change happen. I find her truly inspirational and she gives me strength. Know that you are good at what you do and believe in yourself. Work hard - especially early in your career. The reputation that you develop for yourself will serve you well and you will be rewarded with amazing opportunities. And ask for more - we never ask for more and we deserve it. Work with good people. Life is too short to work with assholes. I am always striving to become better at communicating, advocating, listening, time-management, productivity, partner awareness, and other leadership skills. There's always room for growth. The best book I read this year was Buyer Personas by Adele Revella. It encouraged me to reach out and have deeper, more meaningful conversations with partners and prospects who are leaning in to learn more about our product. Speaking with partners on a regular basis really helps us understand their perspective, context, needs, and pressures. It gives us a much better understanding of the people we're trying to serve.